Methods to welcome money into your home to increase prosperity and cash flow have been tried throughout the years (aside and along with hard work). Many have been handed down through old wives tales, folklore, kitchen magic or what not. This is one of my favorite and one I use that seems to have its roots deep into the history of earth magic. It is simple, effective and may be done at anytime. However, it is preferably to start this on a New Moon cycle, new moon to full, as that is what is known as a bring cycle. You may leave it over your doorway for as long as you wish, although it should be refreshed from time to time. Welcoming Money into your home! 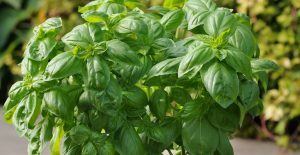 Place the coins, magnet and sprig of basil over the doorway of the inside of the doorway leading into your home. I line mine up on a piece of scotch tape and tape above doorway. You may leave this indefinitely however, you may want to replace/refresh them once in a while. The basil should be refreshed and the coins spent to put the money out into the universe. Replace with different coins. Love and Prosperity to you!!! Also remember lighting a green candle on the second day of a bring cycle it a great way to draw money. I use the seven day glass jar candles and leave lit. If you must put it out, snuff it do not blow it out and relight as soon as possible. Place the candle on a cookie sheet, pie pan or other surface in case of cracking. basil, folklore, herbal magick, money draw. Bookmark.